From protecting your children and assets in a divorce, custody dispute, child support action, or other family law matter. To protecting your estate and life's legacy in planning and building your estate plan. The attorneys and estate planners at Olsen Legal Group will work diligently and compassionately to protect what matters most to you. We serve Cheyenne and Wyoming families, including Laramie, Albany, Platte, and Goshen Counties, in creating estate plans using Wills, Trusts, Powers of Attorney, Healthcare Directives and other tools. We also provide a broad range of family law legal services through representation in divorce, custody, child support, adoptions, paternity, and guardianship matters. Olsen Legal Group, LLC takes a client centered and individualistic approach to addressing the needs of our clients. Whether planning and building your estate plan or protecting your children and assets in a divorce or custody matter, we tailor our legal services to meet your needs and goals. At Olsen Legal Group we value getting to know each of our clients on a personal level in order to understand your values and what is most important to you as an individual and family. Our estate planners and attorneys work closely and diligently with our clients to resolve their legal issues, allowing you to return your focus to what matters most your family and life. 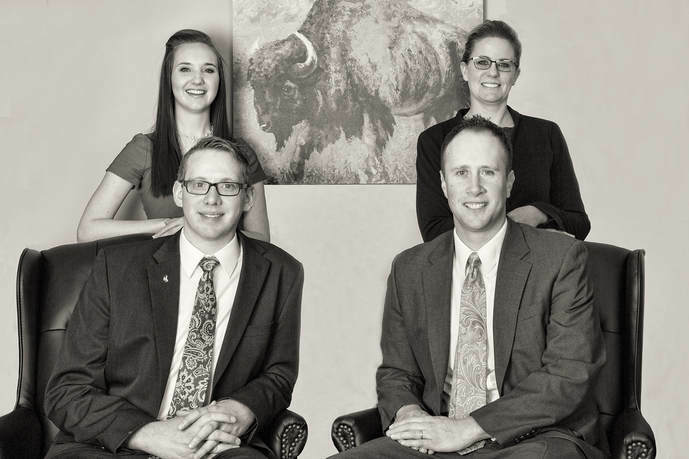 Jared Olsen is the founder and owner of Olsen Legal Group, LLC, an innovative and successful law practice in the heart of beautiful downtown Cheyenne, Wyoming. Jared is the Representative for House District 11 in the Wyoming House of Representatives. He serves on the Judiciary Committee in the House of Representatives which provides him with a unique and unmatched expertise into Wyoming law. Jared is a proud graduate of the University of Wyoming College of Law. He also received his Master of Public Administration from the University of Wyoming and his Bachelor of Science in Political Science from Weber State University. Prior to founding Olsen Legal Group, LLC, Jared practiced law for a Cheyenne firm devoted exclusively to family law. There he represented Wyoming families all across the state in various family law matters. Prior to that, Jared worked for several years at Hirst Applegate, LLP as a civil defense litigator representing our trucking, mineral, and banking industries. Jared is an active member of the Cheyenne community. He served as Chairman of the Laramie County Republican Party from 2015 to 2017. Jared is the Vice Chairman of the Wyoming Republican Party and a State Committeeman for the Laramie County Republican Party. He is an executive member of the Budget and Audit Committee of the Wyoming Republican Party, and the Financial Officer of his church. He is also civically engaged through organizations such as Rotary, the Cheyenne Chamber of Commerce, and the Housing and Community Development Advisory Council for the City of Cheyenne. He is a member of the Laramie County and Wyoming Bar Associations and is a proud member of the prestigious Southeast Wyoming Estate Planning Council, an affiliate of the National Association of Estate Planners and Councils. Jared's legal practice focuses on providing personalized and extensive trust and will-centered estate plans for individuals and families all over Wyoming. He provides a broad range of family law services, including divorce, child custody, child support, adoptions, paternity, guardianships, and family mediation. Jared also assists clients with business organization and formation needs, including non-profits, corporations, limited liability companies, and partnerships. Above all else, Jared is a devoted husband and father. Jared and his wife, Dani, have two beautiful and bright children - Eden & Noah. As a father and a husband, he deeply understands the importance of family which is why protecting your family is his number one goal. From protecting your children and assets in a divorce, custody dispute, child support action, or other family law matter. To protecting your estate and life's legacy in planning and building your estate plan. The attorneys and estate planners at Olsen Legal Group will work diligently and compassionately to protect what matters most to you. 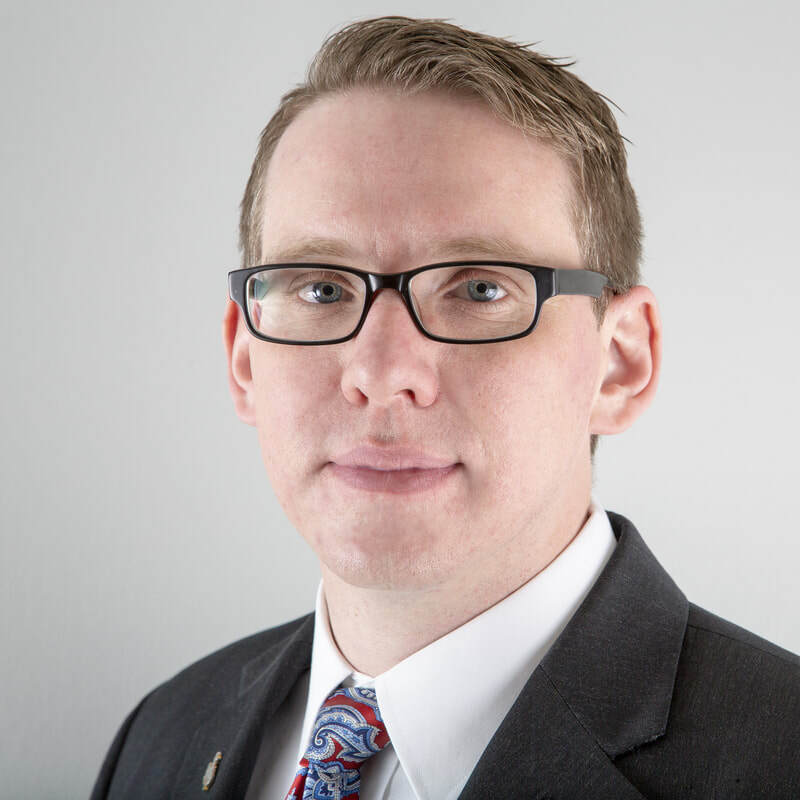 Jared Olsen is the founder and owner of Olsen Legal Group, LLC, an innovative and successful law practice in the heart of beautiful downtown Cheyenne, Wyoming. Jared is the Representative for House District 11 in the Wyoming House of Representatives. He serves on the Judiciary Committee in the House of Representatives which provides him with a unique and unmatched expertise into Wyoming law. Jared is a proud graduate of the University of Wyoming College of Law. He also received his Master of Public Administration from the University of Wyoming and his Bachelor of Science in Political Science from Weber State University. Prior to founding Olsen Legal Group, LLC, Jared practiced law for a Cheyenne firm devoted exclusively to family law. There he represented Wyoming families all across the state in various family law matters. Prior to that, Jared worked for several years at Hirst Applegate, LLP as a civil defense litigator representing our trucking, mineral, and banking industries. Jared is an active member of the Cheyenne community. He served as Chairman of the Laramie County Republican Party from 2015 to 2017. Jared is the Vice Chairman of the Wyoming Republican Party and a State Committeeman for the Laramie County Republican Party. He is an executive member of the Budget and Audit Committee of the Wyoming Republican Party, and the Financial Officer of his church. He is also civically engaged through organizations such as Rotary, the Cheyenne Chamber of Commerce, and the Housing and Community Development Advisory Council for the City of Cheyenne. He is a member of the Laramie County and Wyoming Bar Associations and is a proud member of the prestigious Southeast Wyoming Estate Planning Council, an affiliate of the National Association of Estate Planners and Councils. Jared's legal practice focuses on providing personalized and extensive trust and will-centered estate plans for individuals and families all over Wyoming. He provides a broad range of family law services, including divorce, child custody, child support, adoptions, paternity, guardianships, and family mediation. Jared also assists clients with business organization and formation needs, including non-profits, corporations, limited liability companies, and partnerships. Above all else, Jared is a devoted husband and father. Jared and his wife, Dani, have two beautiful and bright children - Eden & Noah. As a father and a husband, he deeply understands the importance of family which is why protecting your family is his number one goal.